Take a journey to Cape Suzette, home to perhaps the only one-plane delivery service operated by a bear in the entire world. The stars of the 90s Disney cartoon series TaleSpin are getting the Pop! treatment, making for a rowdy, colorful addition to any collection. 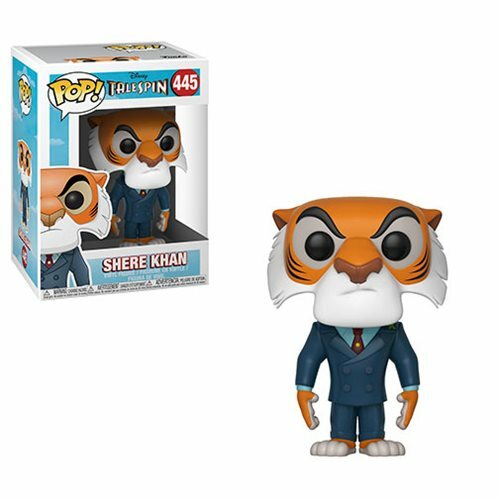 This TaleSpin Shere Khan Pop! Vinyl Figure #445 measures approximately 3 3/4-inches tall and comes packaged in a window display box. Ages 3 and up.